Value Quest Food developed a new candy line for adults who love Chocolate and Hazelnut. 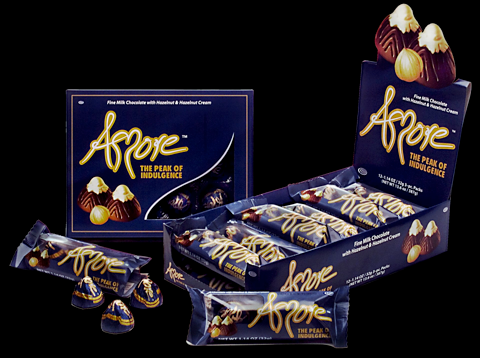 Amore was intended to be a premium candy treat for adults. The rich design and packaging was used to highlight the premium nature of the candy and to highlight the peak of enjoyment.